A note from the editor: Jelly Deals is a new deals site launched by our parent company, Gamer Network, with a mission to find the best bargains out there. (It also has the best name.) Full disclosure: if you make a purchase from one of these links, we may receive a small commission from the retailer. Hopefully you’ll find it useful! This year has been rife with games being discounted within weeks after their launch but today has shown us possibly the most drastic of price drops for a new release. 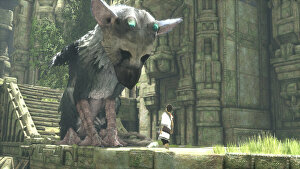 At the time of writing, if you head over to ShopTo you’ll be able to pick up a copy of the latest game from the creators of Shadow of the Colossus and Ico, The Last Guardian on PS4 for only £24.85. That’s for the ‘Exclusive Launch Edition’ of the game too, which features an extra nice slipcase cover to go over the regular box art. The standard edition of the game is also on sale for £24.85, though the Collector’s Edition is maintaining its £105 price-point for the moment. As of this moment Amazon, who are known to price-match discounts on newly released games quickly after they appear, is holding it’s standard pricing of £44 but you may want to keep an eye on the just in case. In any case, it’s one heck of a price drop this close to the game’s release and I would expect the stock to vanish quickly. If you’ve been holding out on picking up a copy of this one until now, you may want to act fast to grab one of these. Merry Christmas, PS4 owners, I guess!